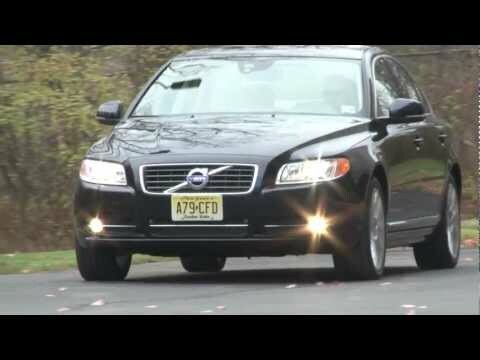 The 2013 Volvo S80 may not have the cachet of a Lexus GS, Audi A6 or BMW 5 Series, but it merits consideration among these premium brands nonetheless. Volvo's largest sedan isn't known for the most modern styling or thrilling performance, but rather the safety pedigree and understated elegance long associated with the Swedish marque. 2013 Volvo s80 - pleased with purchase. Overall very pleased with this car. Drives smooth and does not let in much noise. Owned this car for 5 years and have only had to do routine maintenance. Only regret I have is not getting back up camera and navigation. Blindspot assist and parking sensors are very helpful features. VOLVO IS RECALLING CERTAIN MODEL YEAR 2011-2013 S80 VEHICLES. A SOFTWARE ERROR MAY PREVENT THE TRANSMISSION FROM DOWNSHIFTING SUCH AS SHIFTING FROM FIFTH TO FOURTH GEAR WHEN COASTING. THIS MAY RESULT IN DECREASED ENGINE RPMS AND POSSIBLE ENGINE STALL, INCREASING THE RISK OF A CRASH. VOLVO WILL NOTIFY OWNERS, AND DEALERS WILL UPGRADE THE SOFTWARE TO THE TRANSMISSION CONTROL MODULE, FREE OF CHARGE. THE SAFETY RECALL IS EXPECTED TO BEGIN ON, OR ABOUT, JULY 19, 2012. OWNERS MAY CONTACT VOLVO CARS AT 1-800-458-1552.